PrintPack India 2019 is poised to be bigger show both in terms of number of exhibitors and visitors. Countdown for PrintPack India 2019 is fast zeroing in. Only a few days are left for the curtain to rise. The organisers, IPAMA (Indian Printing, Packaging and Allied Machinery Manufacturers’ Association), acknowledges Industry’s overwhelming response, as the exhibition space earmarked for the exhibition has been completely sold out two months before the show. PrintPack India 2019 is scheduled from February 1-06, 2019 at India Expo Centre, Greater Noida. 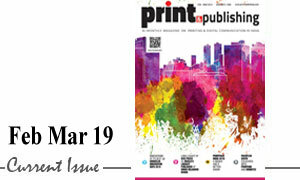 Forthcoming PrintPack India will 47% bigger than the last edition, net 24,500 Sq. mtr has already booked by 505 participants. Major players have already confirmed their participation and started their planning to take the maximum advantage of this Mega Event. Outcome of exhibition depends on visitors. Massive footfall of visitors in PRINTPACK INDIA 2019 being ensured. Arrangements are being made with sister associations like Association of Label Printers & Suppliers, Screen Printers Association of India, Indian Paper Corrugated & Packaging Machinery Mfg. 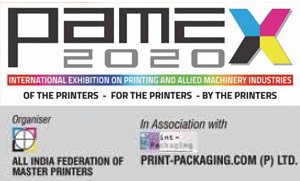 Association, Federation of Corrugated Box Manufacturers, All India Federation of Masters’ Printers and other Allied Association to mobilize visitors and encourage delegations to visit PRINTPACK INDIA 2019. IPAMA has also inked MoUs with overseas associations in China, Egypt, Nigeria, Italy, Sri Lanka, Bangladesh, Nepal, and other neighbouring countries for mobilizing visitors from overseas. In the last five months, IPAMA had participated in more than 75 Indian and foreign exhibitions & conferences for promotion of the event. More promotional meets are being organised in different cities in coming months with the support of local associations and the institutions related to the Graphic Arts Industry. For the convenience of visitors, elaborate arrangements have been made for on-line registration. Visitor has to fill a simple online form to register themselves. In the entire process of registration, it takes maximum 2-3 minutes. 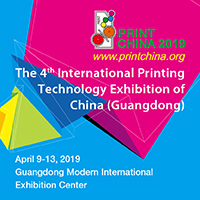 After registration, the visitors can keep print-out of the registration slip along with the ID proof for directly entering in the exhibition halls. Onsite counters will also available for onsite registration for those visitors who don’t mind paying 100 bucks for entry and wait in queue. For making the event more purposeful and worthier, seminars and workshops are planned for 2nd and 3rd February 2019 along with Aptech and AIPIMA. World renowned Speakers are being roped in as guest speakers. All in all, the mega exposition, PRINTPACK INDIA 2019, is going to be a sure shot success. PrintPack India 2021: bookings open, get huge response!